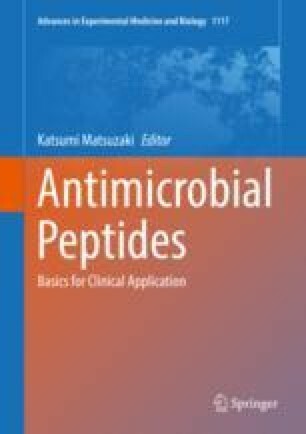 Anticancer peptides (ACPs) are cationic amphipathic peptides that bind to and kill cancer cells either by a direct- or indirect-acting mechanism. ACPs provide a novel treatment strategy, and selected ACPs are currently in phase I clinical trials to examine their safety and overall benefit in cancer patients. Increasing the selectivity of ACPs is important so that these peptides kill cancer cells without harming normal cells. Peptide sequence modifications may help to improve ACP selectivity. ACPs also have immune-modulatory effects, including the release of danger signals from dying cancer cells, induction of chemokine genes, increasing T-cell immune responses, and inhibiting T regulatory cells. These effects ultimately increase the potential for an effective anticancer immune response that may contribute to long-term benefits and increased patient survival. Packaging ACPs in nanoparticles or fusogenic liposomes may be beneficial for increasing ACP half-life and enhancing the delivery of ACPs to tumor target cells. Additionally, engineering ACP-producing oncolytic viruses may be an effective future treatment strategy. Overall research in this area has been slow to progress, but with ongoing ACP-based clinical trials, the potential for ACPs in cancer treatments is closer to being realized. The integration of basic research with computer modeling of ACPs is predicted to substantially advance this field of research.